Looking for a multiplication read aloud to introduce or reinforce multiplication concepts? Check out the suggested picture books below and click on the underlined blue text to download math task cards with problem solving tasks suitable for use in math centers, small group or whole class settings. One hundred hungry ants march off in single file towards a picnic in search of some "yummies for their hungry tummies." When the littlest ant decides they are moving too slowly he directs his fellow marchers to break into two rows of fifty, then four rows of twenty-five, then five rows of twenty, and so on. This continual reorganization takes so long that by the time they finally reach the picnic all the food is gone. This multiplication read aloud serves as a light-hearted introduction to the concept of arrays. 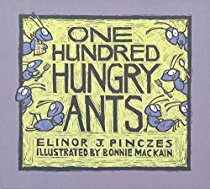 When reading this story aloud we like to stop at various points to have students write an equation on their dry erase boards to match the array shown in the illustration and predict what the littlest ant will do next. In one classroom we visited students wrote their own versions of the story with different numbers and creatures and recorded all the different arrays the creatures organized themselves into as they headed towards the food source. Titles included Sixty Hungry Snakes, Thirty Thirsty Elephants, and Fifty Famished Jaguars. 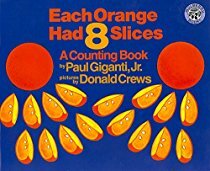 Each Orange Had Eight Slices by Paul Giganti, Jr. Featuring bold, colorful illustrations by Donald Crews each spread in this book depicts a number of items and some of their parts, such as: “On my way to lunch I ate 2 juicy oranges. Each orange had 8 slices. Each slice had 2 small seeds.'' A series of questions then ask the reader to calculate how many juicy oranges, how many slices and how many seeds there are in all. This multiplication read aloud can be used to introduce the associative property of multiplication. Which order will you multiply the three factors in? Do you get the same product if you multiply the factors in a different order? After listening to the read aloud and answering the questions that accompany each illustration, students can create, illustrate, and solve their own multiplication stories with three factors by innovating on the structure of the text. On Aristotle Street the residents don't talk to one another. 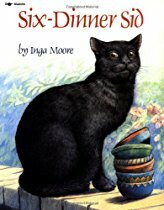 This makes it easy for Sid, a cat with a voracious appetite, to reside in six homes simultaneously where he answers to six names, sleeps in six beds, maintains six different personalities, and devours six meals a day. Life seems perfect for Sid until the day he catches a cough, resulting in six trips to the vet and his cover being blown. His unimpressed owners agree that going forward Sid will receive only one meal a day. So Sid seeks out more hospitable feeding grounds, moving to Pythagoras Place where the neighbors do talk to one another and don't mind him having multiple dinners a day. Moore's text and humorous, realistic illustrations work together to create a book that appeals to all ages while providing opportunities for problem solving tasks involving multiples of six. How many dinners would Sid eat in a week? What about in the month of May? Based on an Indian folktale, this book tells the story of a young girl named Rani who outsmarts a selfish raja when he hoards his people’s supply of rice during a famine. When offered a reward for returning some rice that had fallen from baskets laden for his consumption, Rani asks the raja for just one grain of rice, doubled every day for thirty days. The raja, unable to grasp the power of doubling, grants her seemingly modest request. At first, it takes only a few birds with grains or rice in their beaks to deliver the reward. Then come the big cats - a leopard, a tiger, and a lion each carrying a small pouch in their mouths. By the last day it takes a double-page foldout to depict the herd of elephants that are needed to deliver the rice. Through the power of doubling, Rani obtains enough rice to feed the entire kingdom and teaches the raja what it truly means to be wise and fair. The beautiful illustrations in this story, some featuring shiny gold backdrops, bring this multiplication read aloud to life. 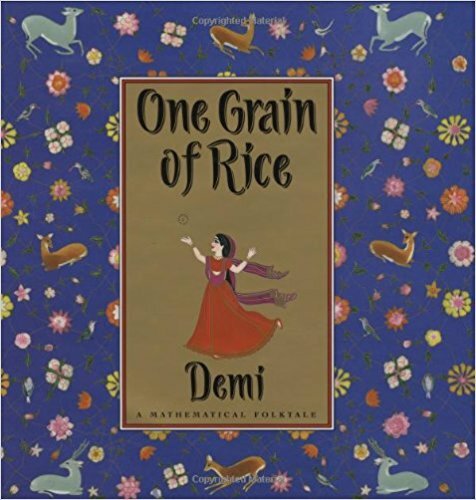 Opportunities for problem solving abound – how many grains are needed to make a cup (or kilogram) of rice; how many grains of rice did Rani receive in all; approximately how many people will one billion grains of rice feed? 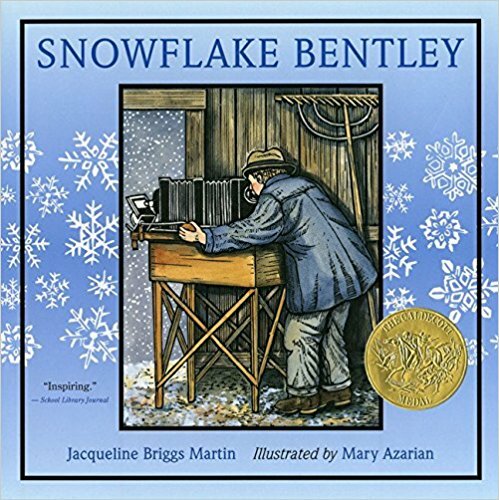 This beautifully illustrated book tells the story of Wilson Bentley, a Vermont farm boy born in 1865, who was fascinated by snow from an early age. Wilson’s childhood preoccupation continued into adulthood and he devoted his life to photographing and examining snowflakes. The way in which this story is told, with some information in the main text and sidebars on most pages highlighting specifics of Bentley’s life and discoveries, makes for a multi-layered story accessible to a wide age group. 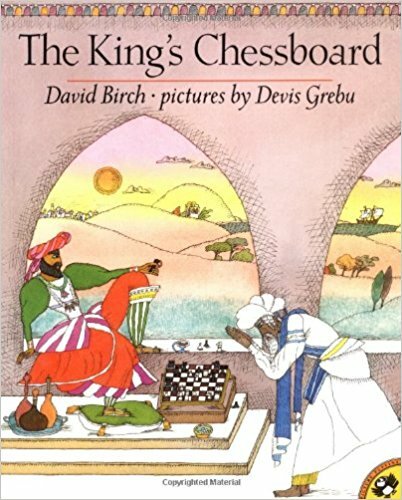 An excellent choice for introducing biographies to young readers. Bentley’s photographs revealed that although no two snowflakes are exactly alike, most have six branches (though a few have three), thereby providing an engaging context for a problem solving task involving multiples of three and six. In this delightful picture book with an ecological message, readers get to share a puzzling problem with an ordinary family when a box containing a penguin arrives anonymously on New Year's Day. As the family continues to receive one package each day their problems are multiplied and they have to come up with solutions for housing, feeding and keeping track of the ever-increasing number of penguins. 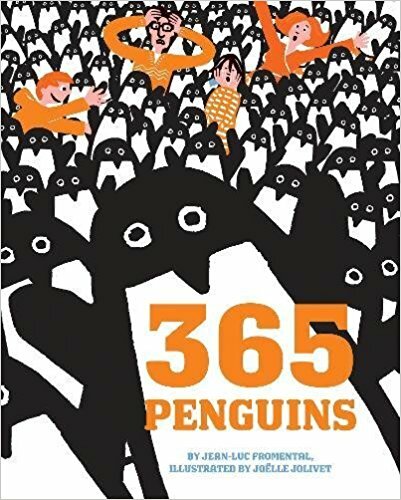 This book's large size and striking illustrations in a limited palette of blue, orange, black, and white makes it ideal for classroom sharing. Problem solving possibilities, for a range of ages, are numerous: How many penguins had arrived by the last day of March? How many different ways could the father organize 60 penguins? What would be the total cost to feed the penguins in January? 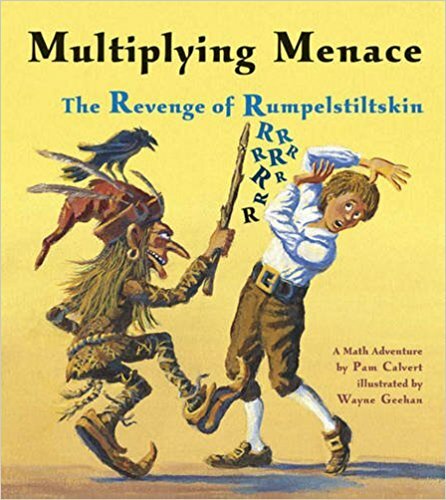 A great addition to any math read aloud collection, which will leave children and adults alike saying “Oh no!” when they see the author’s last laugh at the end of the story. The rhyming text in this multiplication read aloud illustrates the concept of square numbers. 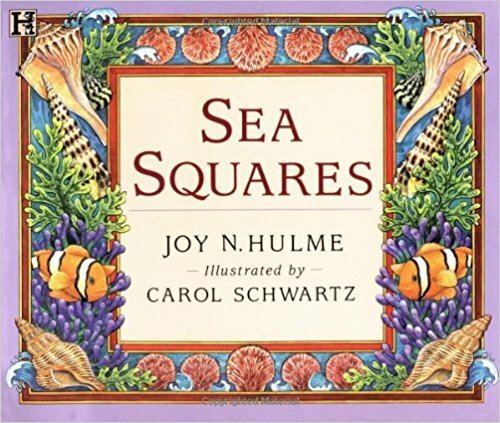 Eye catching watercolor paintings set within frames and decorative borders enhance the text, with illustrations of sea animals ranging from one one-ton whale with one strong tail to ten squirmy squids squirting ten inky trails providing contexts for squaring numbers from one to ten. In one classroom we visited students worked in small groups to write and illustrate their own books based on the style of this read aloud. 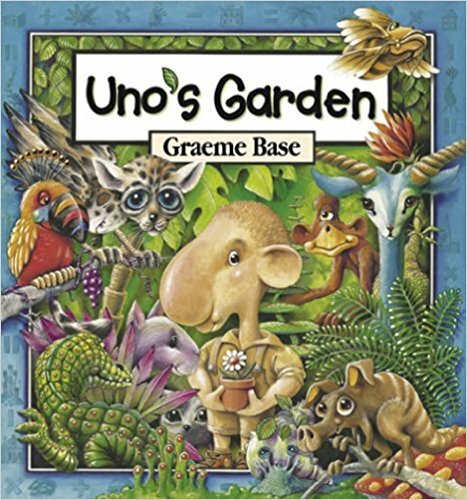 Titles included Rainforest Squares, Jungle Squares, Zoo Squares, City Squares and Bedroom Squares. Although out of print you may be able to find a copy of this book in your library, or pick up a second hand copy cheaply on Amazon. Amanda Bean loves to count anything and everything. If only she could count faster! Unconvinced of the virtues of multiplication Amanda continues to count one by one – until she has an amazing dream where she is so overwhelmed by counting challenges that multiplication finally makes sense to her. 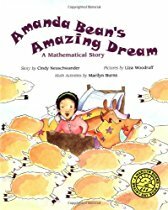 Amanda realizes that being able to multiply will help her count faster and promises herself that she will learn to multiply – and never again count sheep. 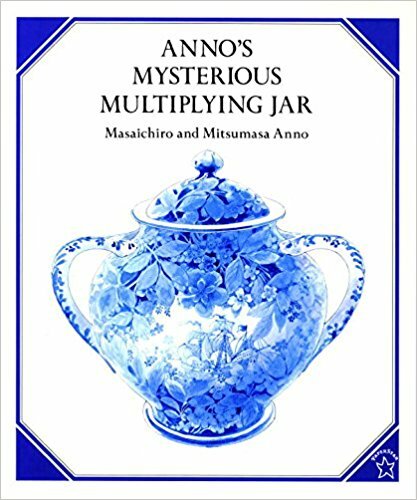 This multiplication read aloud makes a good choice for launching a beginning unit on this concept as it deals with why multiplication is a useful math skill to acquire. The illustrations, depicting arrays of various objects, present the concept clearly and provide numerous opportunities to multiply.